TUCSON, Ariz.— Another new jaguar has been photographed in southeast Arizona, the third detected in the state in the past year and a half. The animal was captured on a Bureau of Land Management trail camera in the Dos Cabezas Mountains, about 60 miles north of the U.S.-Mexico border. “Jaguars are clearly trying hard to re-establish a population in the United States,” said Randy Serraglio, a conservation advocate with the Center for Biological Diversity. “They've now traveled here through every large mountain range connecting Arizona and Sonora. The only thing that can stop the triumphant return of America's largest wildcat is Trump's $20 billion border wall. It's bad for people and the economy, and it's devastating for wildlife." 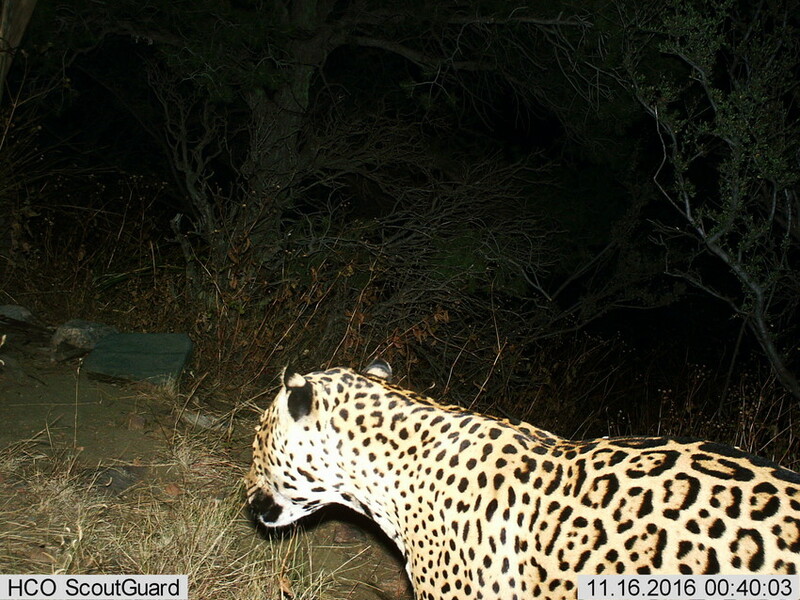 A young male jaguar was photographed on the Fort Huachuca military reservation last November, and a large male jaguar named “El Jefe” by Tucson schoolchildren became an internet sensation last year after living in the Santa Rita Mountains right outside of Tucson for more than three years. The gender of the latest cat has not yet been determined. The Tucson-based Center for Biological Diversity has been working for decades to save jaguars in the United States. In 2014 the Center secured more than 750,000 acres of federally protected critical habitat for U.S. jaguar recovery. Jaguars — the third-largest cats in the world after tigers and lions — once lived throughout the American Southwest, with historical reports on the South Rim of the Grand Canyon, the mountains of Southern California and as far east as Louisiana. Jaguars disappeared from their U.S. range over the past 150 years, primarily due to habitat loss and historic government predator control programs intended to protect the livestock industry. The last verified female jaguar in the country was shot by a hunter in 1963 in Arizona's Mogollon Rim. Photo of jaguar in the Dos Cabezas Mountains courtesy BLM. This image is available for media use.